A delicious meals built just for you. 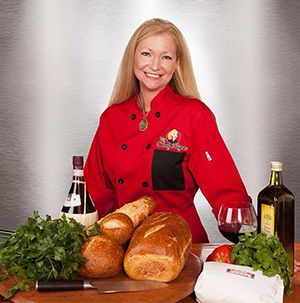 Over 20 years of experience as a celebrated chef has allowed Chef Lynn to understand flavor, to master the art of cooking in a way that will give you a unique flavor experience with every bite and a taste you wish could last forever. Hitting the ground running nearly 5 years ago, we understood that we needed to provide our clients with a level of service that was unmatched as well as a tantalizing meal that they simply couldn’t turn down. In order to extend this kind of service, we knew that we had to be much more than just your average food truck or mobile catering service. We needed to cook and present a meal that was exactly what our clients were looking for—a customized catering option. We don’t limit our service by menus and we don’t limit our guests by a genre of food. Instead, we sit down and have a discussion with our clients about what the atmosphere of their party will be, what types of foods they want, how many guests will be attending, and more so that we can build them a tantalizing menu from scratch that will fit the event perfectly. Having served for 6 years as the Board of Directors for the Issaquah Chamber of Commerce, 5 years as both President and Vice President of the Downtown Issaquah Association, President of the Issaquah Restaurant Coalition, an active member of the Seattle Food Truckers Association, Queen of Issaquah for the Chamber of Commerce, and 15 years as an Issaquah Rotarian, we are passionate about our community and dedicated to serving it. Chef Lynn was the chef at The Sweet Addition in Issaquah for years, learning and honing in her passion for food, flavors and fresh ingredients. Earning the 2002 Issaquah Chamber of Commerce Business Person of the Year award, she is dedicated to doing what she does best—every day, with every plate. We are licensed in 15 local Washington cities in 6 different counties, bringing you the dedicated, high-quality food truck services that will wow even the toughest critics.